This is such an important issue and it's really great to see you bringing it up. 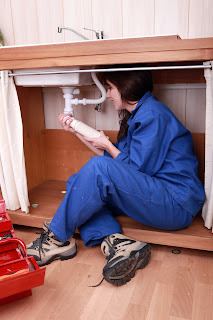 Plumbing is a great career choice for women. I agree that it can be very personally rewarding, it also pays really well, has flexible working hours and you get lots of holiday which is great for women who want to balance working and family life for instance. Unfortunately, it's just not really advertised as a woman's job and sadly, the attitudes within the plumbing trade are pretty old fashioned.